Judges play a critical role in establishing the environment at all competitions. This environment should be safe, fair, positive, relaxed and friendly. The following guidelines will assist in establishing and maintaining the appropriate environment. To respect the needs of each club, coach, gymnast, and other judges. To arrive at the judges’ meetings on time in their judging uniform. To understand the rules and regulations governing competitions. To be prepared for each specific judging assignment. To be certain that both coaches and gymnasts are present before the warm?up begins. To greet gymnasts on arrival at each event. 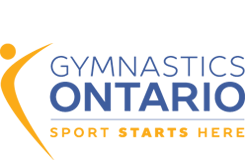 All panel members are to stand to greet the gymnasts for their first event and then the D1 is to stand to greet the gymnasts for all other rotations. To acknowledge gymnasts with eye contact at the beginning and end of each routine. To work quickly and accurately to produce a score, and to be prepared to justify that score with reference to current documentation. To be a cooperative member of the judging panel. To be unbiased, fair and impartial in scoring. Please refer to T&T Technical Rules and Regulations Section G:Judging Policies and Procedures for the full list of requirements and guidelines.